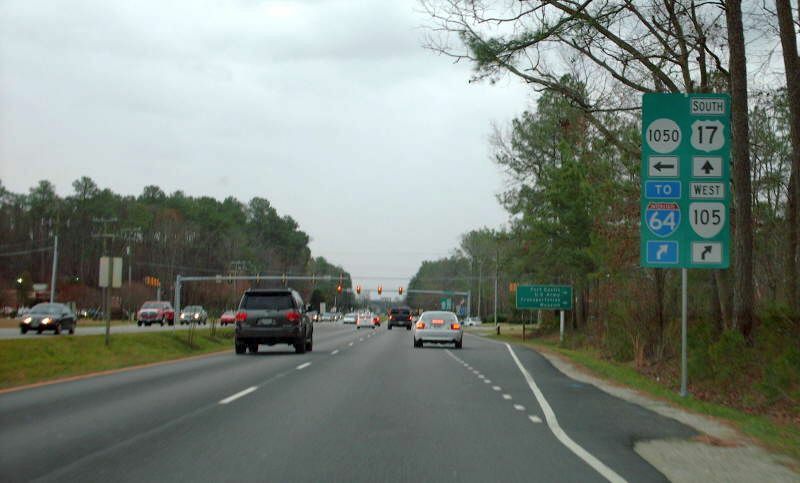 This is the first view and the first set of shields one sees on eastbound VA 105 after departing the gate from Fort Eustis. Photo by Adam Froehlig, taken April 6, 2003. 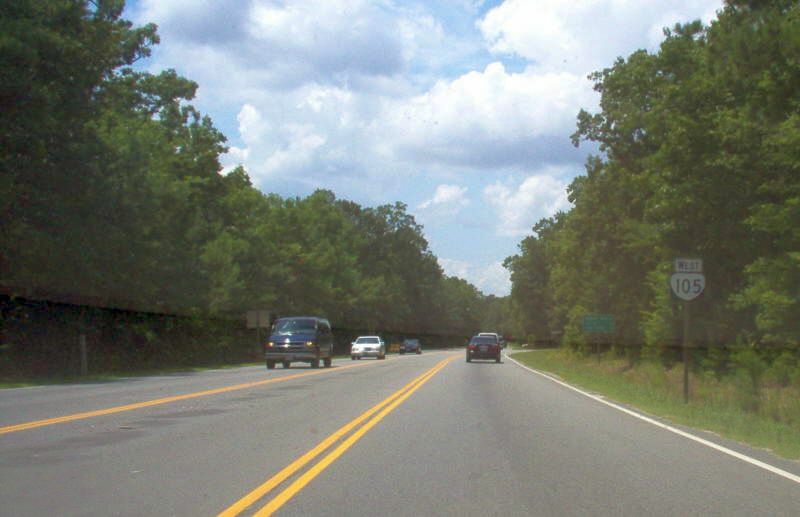 Northbound US 17 where VA 105 ends south of Yorktown. Photo by Adam Froehlig, taken April 6, 2003. 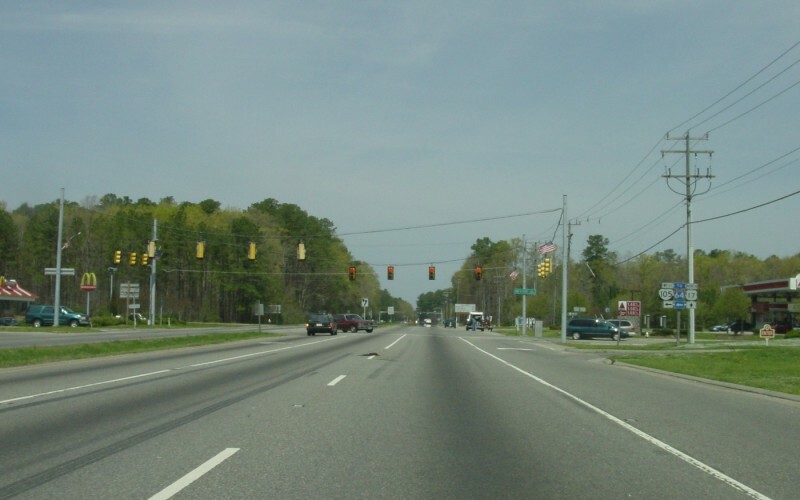 Southbound US 17. Here is a new green unisign assembly installed when SR 1050 was completed. Photo by Mapmikey, taken March 17, 2007. 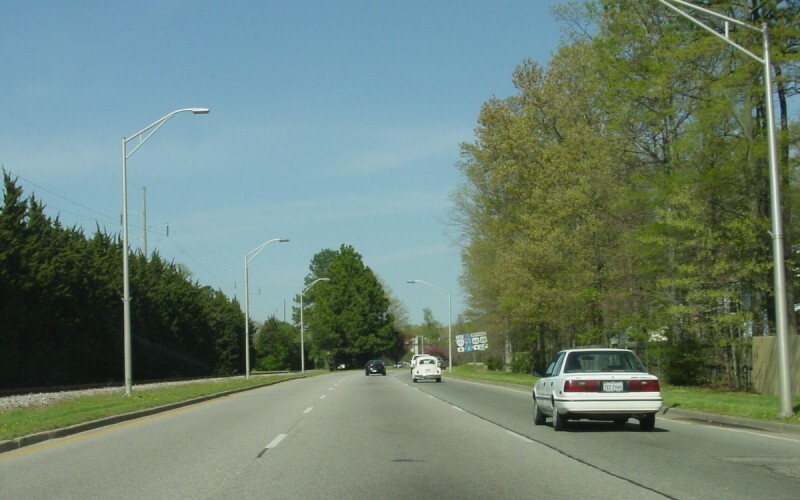 Heading west on VA 105. Photo by Mapmikey, taken March 17, 2007. 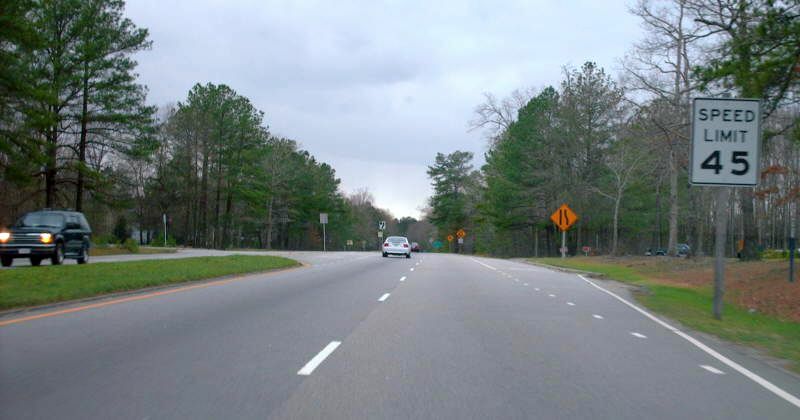 Shortly thereafter is VA 105 reassurance. Photo by Mapmikey, taken July 8, 2005.